Z-80 Assembler/Editor. For educational use only. Commercial users must license. File"). These functions will work on an isolated IBM-PC or compatible. Manual for the Fox for more information. waiting for control commands from the PC. software has been installed on your hard disk) and type "ZAD "
that it contains an integrated editor (E.EXE). will be turned on to indicate this condition. Monitor/Debugger") is described in Chapter 7 of the ZAD Manual. school bookstores for purchase by students. read from the selected program disk when the editor is invoked. ZADFOX.EXE - the ZAD program, v3.1. display problems on antiquated video hardware. Try ZAD first. can stand the snow, it will not hurt anything. ZAD, E is automatically invoked. Z80OPS.SRC - a source file containing ALL valid Z80 instruction mnemonics. change the source or list file. .SRC - a Z80 SOURCE program written in assembly language. 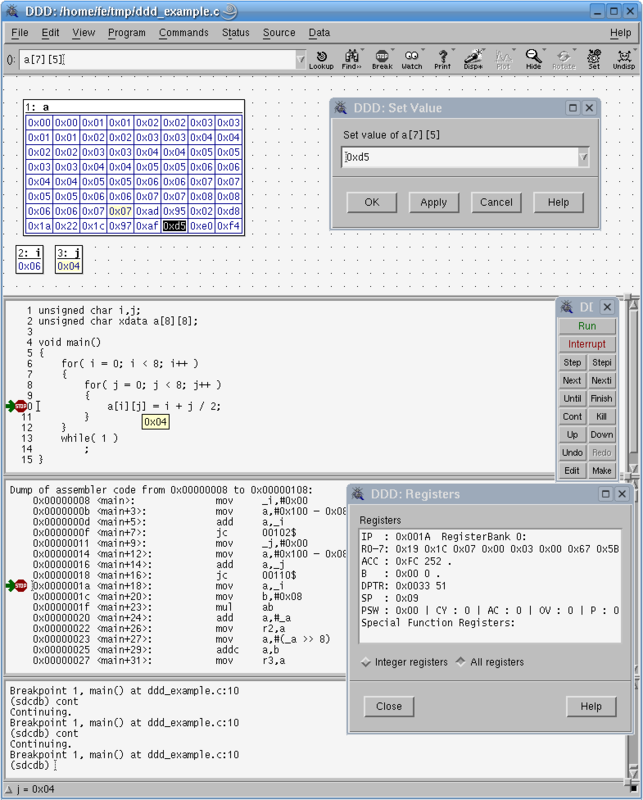 .HEX - an Intel format HEX file, useful to some EPROM programmers. .S - a Motorola S-record file, useful to some EPROM programmers. .EXE - executable modules for the PC operating system. .CFG - configuration file for the ZAD Editor. with an EPROM programmer or other software. If you have comments or questions, please let us know. of E&L Instruments. CAMI Research and E&L Instruments are not associated.